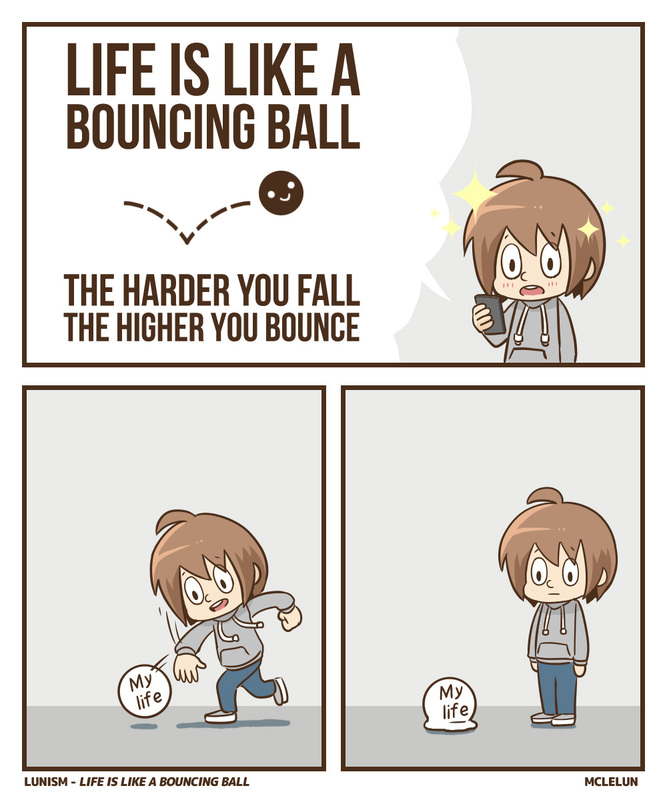 Life is like a bouncing ball, the harder you fall, the higher you bounce. But not all aspect of our life is made with rubber. It will shattered if it is a glass ball.